For our example, we hooked up an MSI Armor RX 580 8GB overclocked edition and a Corsair CX430M PSU to a PE4C 2.1a from BPlus. 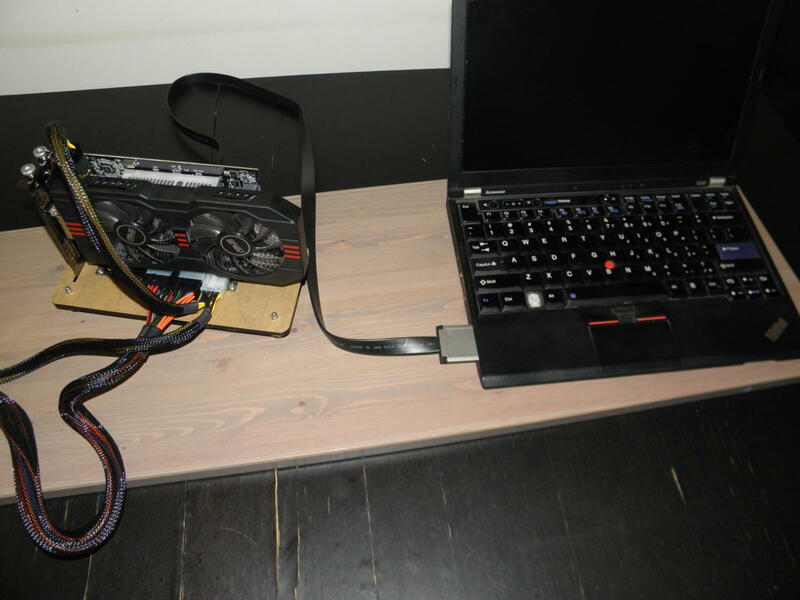 The board connects to an aging Lenovo X220 via an ExpressCard slot, and the card also connects to an external 22-inch 1080p display via one of the RX 580’s DVI ports. 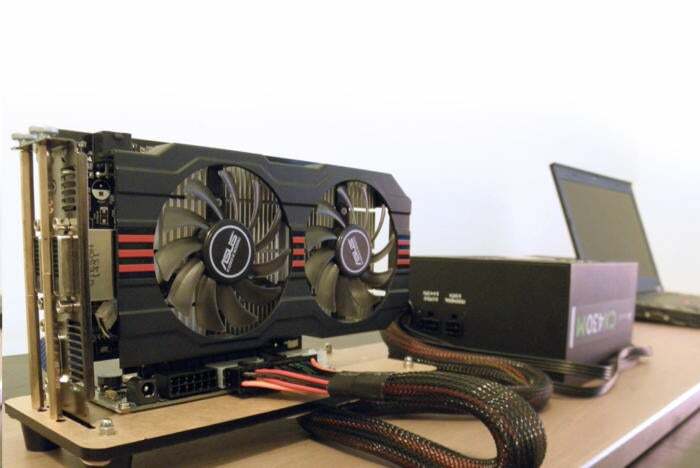 The images below show the Asus GeForce GTX 750 Ti that we originally used for this article, but the process is the same regardless of which graphics card you use. Finally, insert the ExpressCard cable into the laptop, then slide the opposite side of the cable—the one with the HDMI connection—into the HDMI port labled “X1” on the PCIe adapter. At this point you’d also connect your graphics card directly to your external monitor, typically via HDMI or DVI. Now it’s time for the moment of truth. Flip on your PSU (don’t worry if nothing happens yet), power on the external display, and then boot your laptop—or at least, that’s the boot order that works for me. Some users report that booting an eGPU setup works only when they hook into the ExpressCard slot after the initial boot, or after Windows loads. Once that’s done it’s on to the wonderful world of gaming. Here’s a look at some eGPU benchmarks I ran on my own Radeon RX 580-powered setup to give you a sense of what to expect from a comparable system. 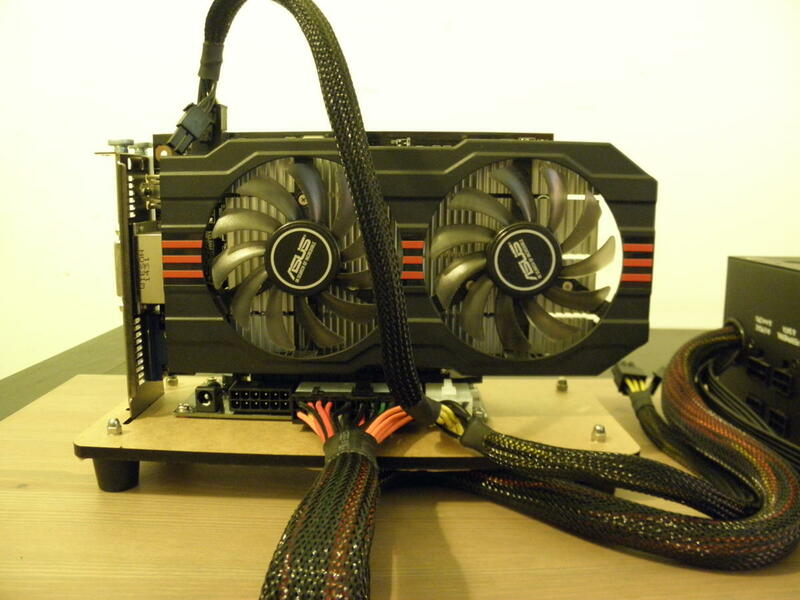 Remember that the RX 580 is a 1080p gaming card. 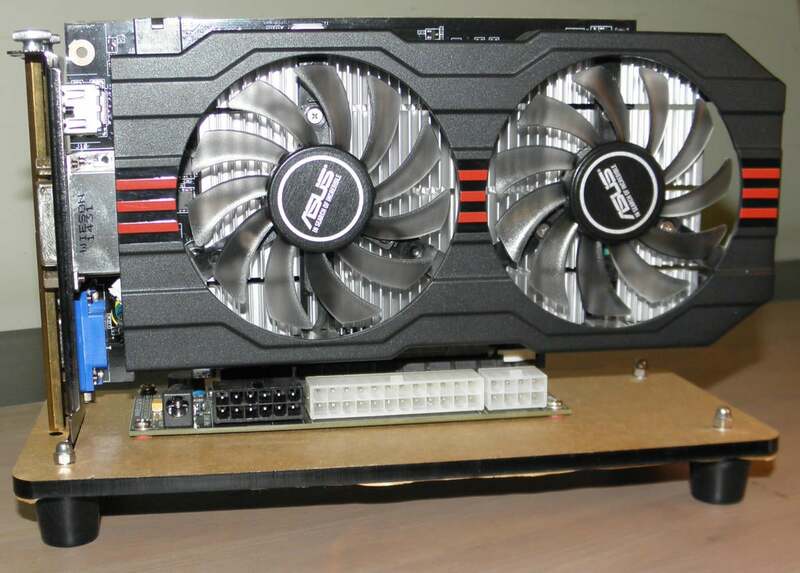 Higher powered graphics cards can obviously perform much better.